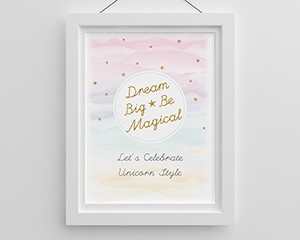 For a party memento they can keep forever, our Kate Aspen Personalized Poster (18x24) in an Enchanted Party design is just the thing! 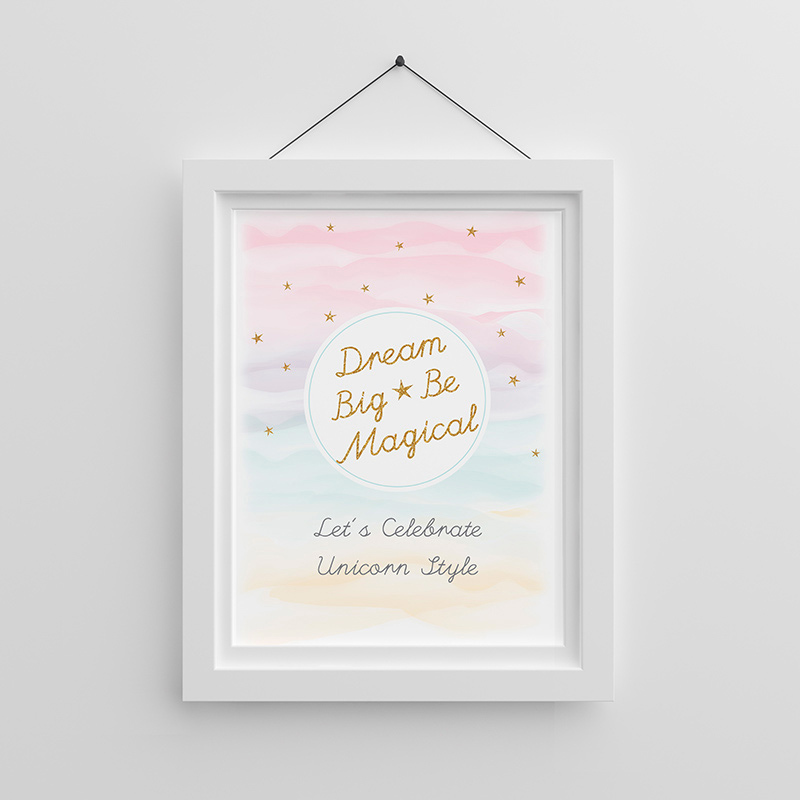 The personalized poster features a dreamy and magical theme, and shows your personal message front and center framed amongst watercolor shades and gold foil stars. Without a frame, how you display the poster is up to you!